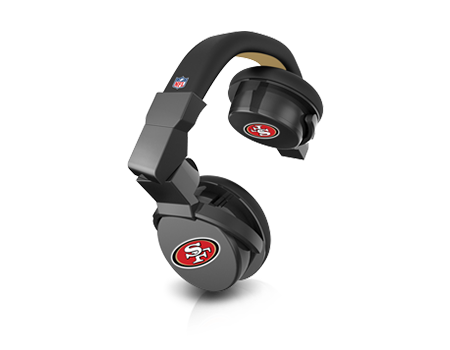 Cheer for your favorite NFL team with the iHip NFL LED headphones. Cheer for your favorite NFL team with the iHip NFL LED headphones. Features include tangle-free flat cord with in-line mic, light-up team logos with an on-off switch, swivel mechanism for single-ear monitoring, large drivers for strong bass response, soft-touch padding for lasting comfort, and compatibility with any stereo audio device.